As a family law attorney, Damon C. Hopkins handles Divorce & Family Law matters in one of two ways: The Collaborative Process or Court Based System (Litigation Process). Anywhere in Erie County: Edinboro, North East, Corry, and Girard, Attorney Hopkins provides great representation for his clients. 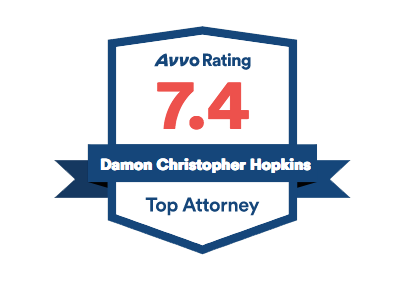 Schedule an Appointment with family law attorney, Damon C. Hopkins Today. Collaborative Law is the practice and art of settling cases with legal counsel, but without court intervention at any stage. All negotiations take place in four-way conferences between the parties and their family law attorneys. Each client has built-in legal advice and advocacy during negotiations. Each family lawyer is committed to guiding the clients toward reasonable resolutions. Using the collaborative process, the parties and attorneys cannot go to court. A settlement is the only agenda, and all involved rely upon an atmosphere of cooperation and professionalism. The court based system is the default way to handle family law matters. Each person is usually represented by their family lawyer and the ultimate decision maker is a judge or other court officer. Cases that go this route are considered litigation cases and are usually very adversarial. Traditionally, this is what most people think is “the only way” to handle these issues. Certain cases must be handled in the court system, ie. PFA & ICC. Which Way is Right for Me? How clients and their spouses choose to handle divorces, custody cases, and financial matters will set the tone for the rest of that relationship. Although they will be divorced at some point, how the couple gets there will profoundly affect the rest of their lives and the lives of their children. If you are located in Erie County, Edinboro, North East, Corry, or Girard– and looking for help with family related cases ranging from property division to PFA, family law attorney, Damon C. Hopkins will be there for you. Anyone going through a custody dispute, divorce or family case, should take a look at the links below. Call my office today to schedule a consultation on your Family Law case.